CUSTOMER FEEDBACK IS REALLY VALUABLE FOR US SO WE CAN PROVIDE EXCEPTIONAL SERVICE FOR YOU. 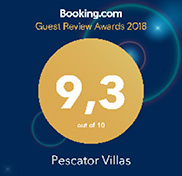 OUR GOAL IS TO MAKE SURE THAT YOU ENJOY YOUR VISIT AND ARE HAPPY TO COME AND VISIT US AGAIN. PLEASE LEAVE YOUR COMMENTS USING THE CONTACT FORM BELOW. ”Our visit has been lovely, thank you Krista. The villa is wonderful and we had a truly special Finnish Christmas”. Tell us where we succeeded this time and how we could serve you even better the next time. Thank you for your time and effort.